New York – January 13, 2014 – Samsung Electronics America, Inc. is exhibiting an immersive and interactive retail experience at NRF 2014, highlighting the potential of its latest commercial display and mobility solutions to help retailers attract new customers, enrich the in-store experience and drive sales. Samsung’s LED-lit commercial displays, Galaxy tablets, multifunction printers and more will be shown in a number of innovative, real-world retail installations at booth #1009 at the Jacob K. Javits Convention Center from January 13-15. Leveraging Aerva’s easy-to-use, web-based AerWave software platform for managing and scheduling content on networked displays, Samsung and Aerva will be streaming live tweets about the Big Show on large-format display. Attendees can also submit their own pictures using the hashtag #AervaNYC or via email, which will be moderated using Aerva’s Moderation Engine and broadcast on a digital billboard in Times Square. RadioShack partnered with Infusion to create a playful, engaging storefront installation in its interactive concept stores. The installation utilizes a 75” Samsung LED edge-lit commercial display to introduce a new robot personality and bring its gesture sensing technology to life. The personality can showcase to consumers hot new products, as well as engage in pure fun, including performing crowd-stopping dance moves. Zugara’s Virtual Style Sense Technology will be shown for the first time at NRF. The technology allows shoppers to try on items and digitally change the color and style of garments they are wearing. It also allows retailers to use online style analytics for their physical inventory. The Virtual Style Sense Technology will be shown on Samsung 75” ME Series LFD. At 95”, the Samsung ME95C is one of the world’s largest professional displays using LED technology. With its thin profile and sheer size, the ME95C provides a stunning centerpiece to any installation and is well suited for luxury retail environments. Featuring the Samsung Smart Signage Platform embedded within the display, users can easily play or manage content without the use of an external PC or media player, as well as create their own content with pre-installed templates. Available from February, Samsung’s UD55D is an ultra-narrow bezel LED direct-lit display that is ideal for creating seamless video wall installations. With a bezel-to-bezel measurement of just 3.7mm – one of the world’s narrowest – the UD55D delivers sharp, bright, impactful video walls. The leader in Android tablets, Samsung’s Galaxy Note and Tab family offer a wide choice of devices for retail applications, from Galaxy Tab 3 7” to the recently unveiled Galaxy Note Pro 12.2”. 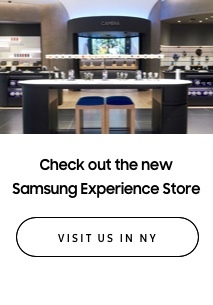 At NRF, Samsung will highlight partnerships with several Point-of-Sale solution providers that enable retailers to ring up transactions, track sales and view analytics all on their Galaxy tablet devices. Samsung will exhibit the new Galaxy Note 10.1 – 2014 Edition featuring an ultra vivid display and precision S Pen for handwriting and signature capture. The Samsung KNOX enterprise security platform is also available on the latest Galaxy tablets, ensuring business and customer information is safely contained. Samsung’s full technology portfolio for retail is available through Samsung distributors and resellers. 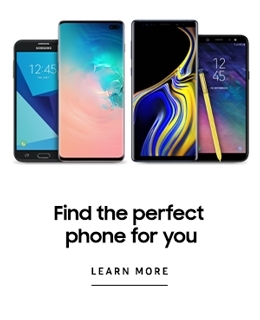 For more information about Samsung’s solutions for retailers, please visit www.samsung.com/business.